My A offered this to me sometime during her high school years; it’s been hanging above my desk ever since. I think it encapsulates the way she was feeling then (forever angry), the way she approaches the world (with a wry sense of humor), and the essential winsomeness she’s never been able to shake, even when she’s tried reeeeeaaallly hard. 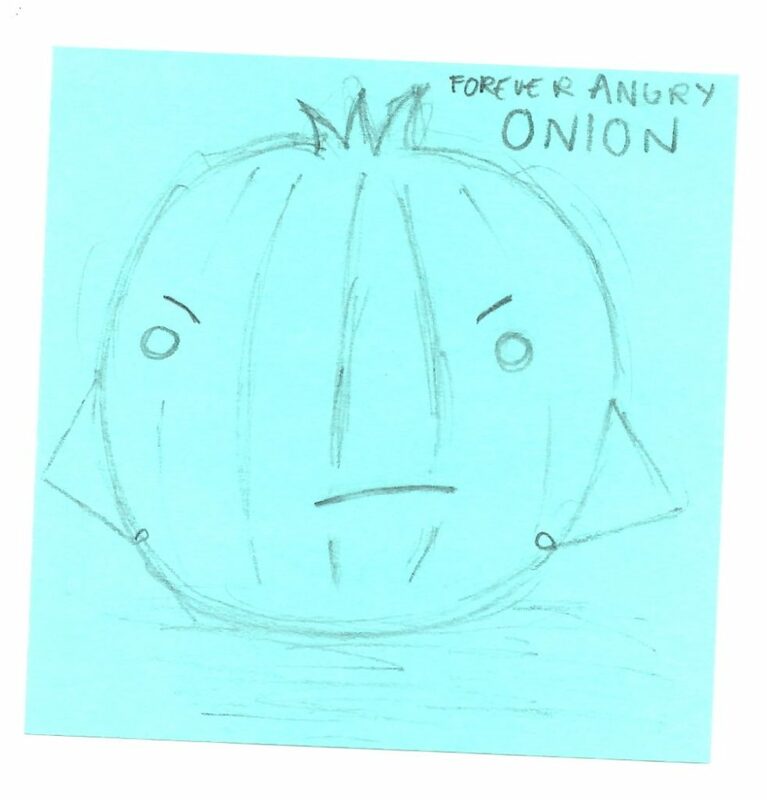 Every time I look at that onion’s face, my dimples come out.